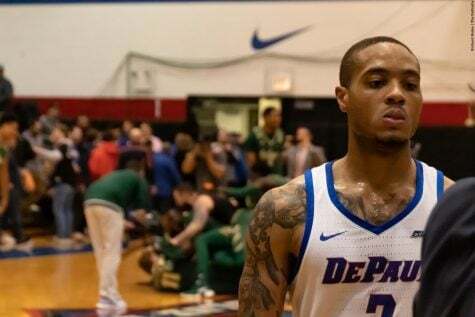 A season that started with a loss to Northern Colorado, has been filled with peaks and valleys since that has DePaul (15-6; 7-2 Big East) poised for a late season run as they hope to win their fifth consecutive Big East regular season title. 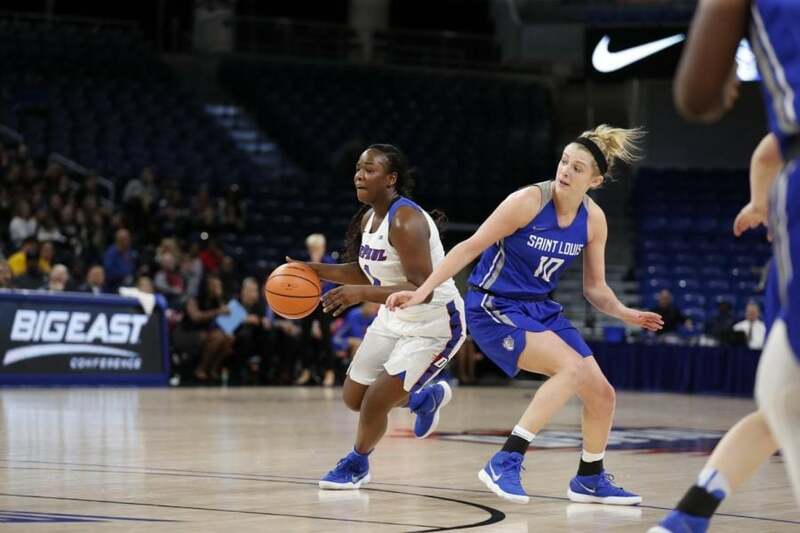 The season started with the Blue Demons losing graduate transfer Rebekah Dahlman on opening night, and have experienced other hurdles along the way, but have begun to find their form winning five of their last six games following a loss to Marquette in early January. 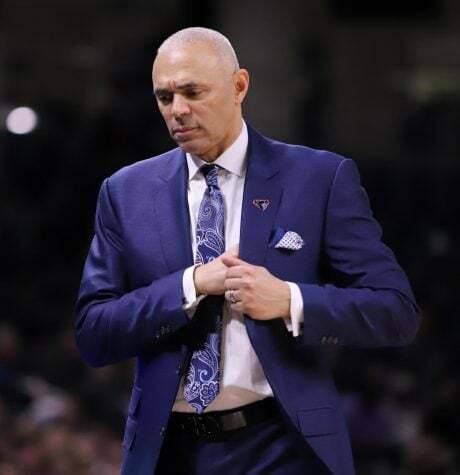 The Blue Demons’ success can be attributed to numerous factors, especially their performance shooting the ball behind the 3-point line. Notably, the Blue Demons lead the nation in made 3-point field goals with 266 of them. 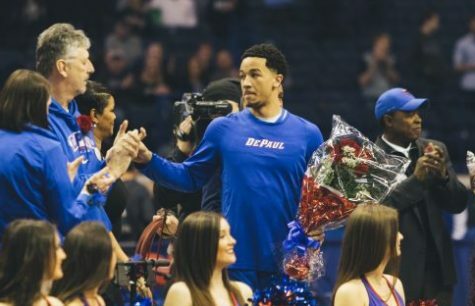 Another key element to the Blue Demons’ success has been their consistent ability to share the basketball and find the open teammate for high percentage shots. 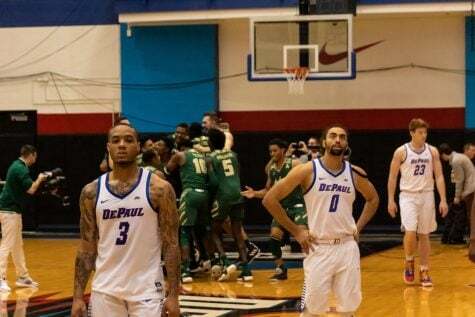 DePaul ranks No. 2 in the nation with 443 total assists on the year and No. 5 in assists per game. Those two key team elements on the offensive end have helped the Blue Demons average 84 points per game, which is the 10th best scoring offense in the nation. 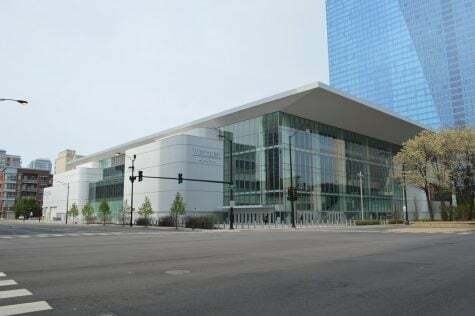 All of this has come after the Blue Demons had three of their top players graduate last June in Jessica January, Jacqui Grant, and Brooke Schulte. 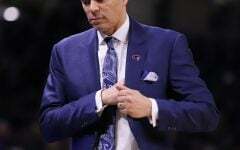 Even with those losses, Bruno still trusts the process of his program. Due to roster turnover, Bruno has changed up the starting lineup a bit in conference play. Over the course of the nine games thus far in the Big East, Bruno has been shuffling the fifth starting spot in the rotation between Chante Stonewall who’s started five games, Tanita Allen who’s started three games, and Lauren Prochaska who’s started just one game. Because Allen has been plagued with injuries this season and wasn’t healthy against UConn, Northwestern, and the first game against Marquette, Bruno now has her coming off the bench. “We’re bringing Tanita off the bench just to help her get recovered,” Bruno said. “I think she’s playing her best basketball now, she’s playing her most consistent basketball,” averaging 8.9 points per game and shooting 42.1 percent in Big East play. For Stonewall and Prochaska, “it’s about match ups,” Bruno said. “We have seven solid starters in this program right now,” so mixing up the starting lineup every now and then isn’t a huge deal for Bruno. The other four starting spots in Big East play have been consistent with Mart’e Grays, Ashton Millender, Kelly Campbell, and Amarah Coleman. 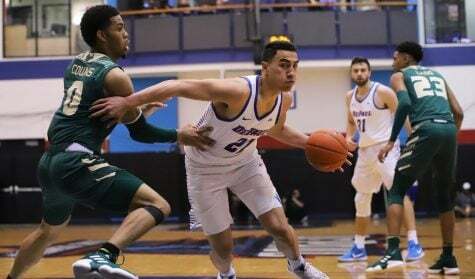 In order for the Blue Demons to have had team success, especially in conference play, the starters have stepped up and have played excellent basketball. 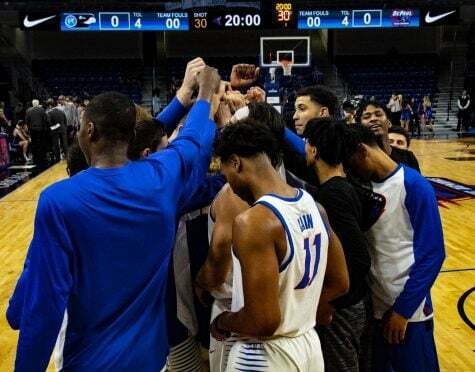 One of those players is redshirt junior Grays, a six-foot-two-inch forward who missed the entirety of last season with a torn Achilles tendon. 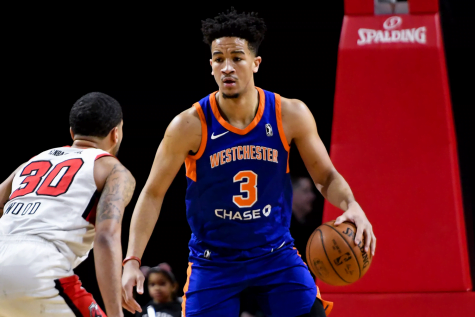 “This year I’m glad to be on the court, ready to play,” Grays said. Now healthy, Grays’ 14.5 points per game this season leads the team in that statistical category, putting her as the ninth leading scorer in the Big East for all games played. Above all, Grays scores in a lot of different ways. Along with shooting 39.8 percent from 3-point range this season which is 11th best in the Big East for all games played, Grays is shooting 75 percent from the free throw line and averaging four rebounds per game to compliment her prolific scoring numbers. Throughout the nine games of conference play, Grays has elevated her game to an even higher level. Her team-high average of 16.3 points per game in conference play is fifth best in the Big East. Grays has been able to put that many points on the board with excellent shooting. Her 48.6 percent which is 10th best in conference play, and with shooting the 3-ball well as she has drained 42.3 percent of her 3-point attempts in conference play that’s 8th in the Big East. Grays credits her dialed-in focus to her success this season. Sophomore guard Campbell has also played solid basketball in conference play. Despite standing at only five-foot-10-inches, Campbell leads the Blue Demons in the rebound category, grabbing an average of 9.9 rebounds, which is second amongst players in the Big East throughout conference play. Along with rebounding the ball, Campbell distributes the ball well too. She leads all players in the Big East in assists, averaging 6.2 assists per game. An all-around guard, throughout conference play Campbell is averaging 10.7 points per game, and a big part of that is due to her excellent 49.3 percent shooting from the field. On top of that, Campbell is 2nd in the conference in 3-point shooting percentage at 47.4 percent. Similar to Grays, staying focused has helped Campbell play well. 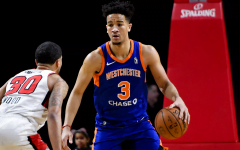 “Just coming to the games focused, doing the little things, doing the controllable and winning every possession,” Campbell said. Another productive player has been Millender, a five-foot-eight-inch redshirt junior guard. Millender leads all Big East players in 3-point field goals made in conference play, having drilled 27 of them to go along with shooting 43.5 percent on 3-point field goal attempts, sixth best in conference play. And of course, shooting 47.7 percent overall in conference play has certainly helped her cause. That’s 11th in the Big East. 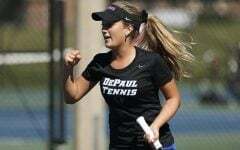 Furthermore, Coleman, a five-foot-11-inch senior who played her first collegiate basketball season at Illinois before transferring to DePaul, has been a reliable source of production for the Blue Demons. In conference play, Coleman is averaging 10.1 points per game and her three assists per game is tied for 12th in the Big East. 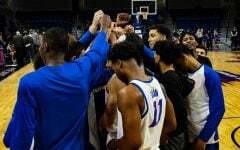 While the Blue Demons have had satisfactory contributions from multiple players, they must continue to play at this level, if not at a higher level, for the remaining half of conference play. Tonight’s nationally televised home game against the Marquette Golden Eagles by far has the most at stake in conference play at this point in the season. 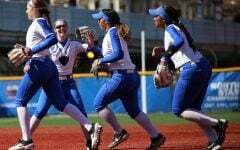 The Golden Eagles are ranked No.1 in the Big East with an 8-1 conference record, so a win for the Blue Demons in this match up would have them tied with the Golden Eagles at the top of the conference rankings for the regular season crown. 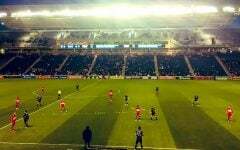 Equally important, both teams have won eight of their last 10 games and have momentum. 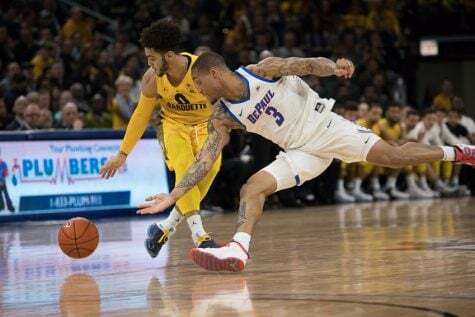 “We know that we’re playing for the Big East regular season championship one game at a time, and Marquette’s just the next game,” Bruno said. 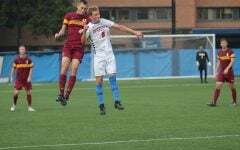 One of DePaul’s two losses fell to the hands of the Golden Eagles. In a 93-81 loss in Milwaukee on Jan. 4, the Blue Demons got off to a slow start, trailing 19-4 just minutes after tip-off. As a result, the Blue Demons want to get off to a much better start this time around. “It’s really important for us to come out and get a quick start and really get ahead in the beginning,” Campbell said. The Blue Demons will face the challenging task of halting six-foot guard Allazia Blockton of Marquette who leads the conference in points per game, scoring 20.2 points per game in conference play.